Don’t worry everyone, I didn’t go anywhere. I just had a series of unfortunate events, but here’s a new show … just for you! Enjoy! Now you can move from Azeroth … for a price. When will we see the Wii? Sony white PSP ad draws fire. Street Fighter II and other classic games announced. Driver abandons the Atari ship. EA announces yet another Lord of the Rings again. Sony slapped with another patent suit. 00:36:52 Game Preview: Maelstrom for the PC. 00:39:08 Game Preview: ATI press event. 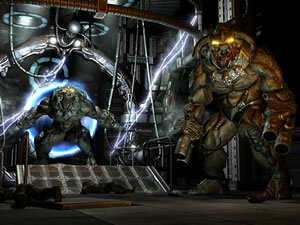 00:43:16 Review: Prey for the PC and Xbox 360. 00:52:06 “Name That Game!” contest winner from last week, a new clip, and the always cool prize! 00:55:41 Show Mail: I answer your audio and email questions. 01:40:19 Final Thoughts: Doom RPG is awesome … who knew? Download the show (105 minutes): Gaming Steve Episode 57 (MP3). Now this is a show! I got Peter Moore, I got a preview of the first RTS for the Xbox 360, I got a review of the Nintendo DS, I got an interview with the godfather of RTS, Louis Castle, I got you a detailed overview of Microsoft Game Studios in Seattle … I got a lot. Enough with the talk, on with the show! Dungeons & Dragons Online goes solo. Wii price and date to be announced … by September. EVE Online invades China big time. Blizzard making everything into an MMO? DS Lite sells 136k in first two days. Tim Schafer demands 360-compatible Psychonauts. Spore spreads to mobile phones (again). Lara Croft is coming back. Microsoft is working on a handheld … what exactly? 00:31:54 Interview: Peter Moore, Corporate Vice President of Microsoft Interactive Entertainment Business in the Entertainment and Devices Division. Oh yeah, and he also runs something called the Xbox 360. 01:07:36 Game Preview: The Battle for Middle Earth II for the Xbox 360. 01:22:56 Interview: Louis Castle, Vice President of Creative Development for Electronic Arts and the creator of such classics as Dune II and Command & Conquer. 01:34:56 Review: Nintendo DS Lite. 01:41:25 “Name That Game!” contest winner from last week, a new clip, and the always cool prize! 01:45:34 Show Mail: I answer your audio questions. 02:19:23 Final Thoughts: Digital download is just awesome. Download the show (145 minutes): Gaming Steve Episode 56 (MP3). Another week, another cool interview. 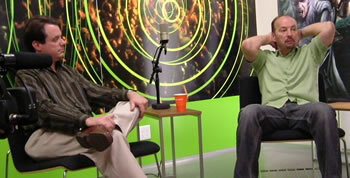 This week I bring back fan favorite Greg Canessa the General Manager of Xbox Live Arcade. Also I give you a preview next week’s show in which I visit Microsoft Game Studios in Seattle. Enjoy! Damn those nukes I got aliens to kill! A new Paper Mario game for the GameCube? Is that thing still alive? Half-Life 2: Episode One launches. Amsterdam to open game-addiction clinic. Minnesota game bill signed into law. One out of two MMOers play WOW … wow. 00:29:30 Interview: Greg Canessa the Group Manager for Xbox Live Arcade. 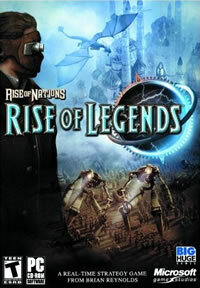 00:57:27 Game Review: Rise of Nations: Rise of Legends for the PC. 01:04:18 RetroReview: Paper Mario for the Nintendo 64. 01:11:32 “Name That Game!” contest winner from last week, a new clip, and the always cool prize! 01:15:19 Show Mail: I answer your audio and email questions. 01:49:38 Final Thoughts: I can’t stop ranting! Download the show (116 minutes): Gaming Steve Episode 55 (MP3). Wow, I asked you to send me your questions about E3, and did you ever! I do my best to plow through all of your questions and comments about E3. I also have a crazy interview with Cliffy B from Epic Games, Lead Designer of the upcoming Gears of War. Enjoy! Phantom CEO charged with pump and dump. Xbox Live downloads crazy popular. Dell opts for AMD chip. Study downplays link of video games to violence. DS Lite Euro release date set. The Wizard is coming! The Wizard is coming! Kill Curt Schilling (in EverQuest that is). 00:24:46 Interview: Cliff Bleszinski (AKA Cliffy B) from Epic Games, Lead Designer of the upcoming Gears of War for the Xbox 360. 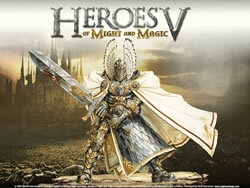 00:41:08 Game Review: Heroes of Might and Magic V for the PC. 00:48:28 “Name That Game!” contest winner from last week, a new clip, and the always cool prize! 00:51:10 Show Mail: I answer a ton of audio questions about E3. 01:47:14 Final Thoughts: The last E3 wrap-up, I hope. Download the show (113 minutes): Gaming Steve Episode 54 (MP3). Today I have the craziest show I have ever done. Not only do I recap this year’s E3 but I have a whopping six interviews from the show floor … AKA “The Super Interview Spectacular Show”. Enjoy! 00:00:49 Detailed hands-on preview of the Wii, its games, and a detailed report of too many games to list from the show floor. 00:33:41 Super quick interview with Will Wright about Spore. 00:34:33 Interview with Tim Train, VP of Operations and Development of Big Huge Games about the newly released Rise of Legends for the PC. 00:53:34 Interview with Paul Sage, Lead Designer of Tabula Rasa from NCSoft. 01:02:12 Interview with Mark Tucker, Lead Designer of Dungeon Runners from NCSoft. 01:09:54 Interview with Michael Khaimzon, Lead Designer of Crysis from Crytek. 01:16:25 Interview with Kevin Unangst, Director of Global Marketing for Games for Windows from Microsoft. 01:30:06 Final wrap-up of the E3 2006. Download the show (96 minutes): Gaming Steve Episode 53 (MP3). It’s only day two of E3 and today I have a dynamite show! Not only do I co-host the show with World of Warcraft Senior Level Designer John Staats, not only do give you a blow-by-blow description of my Spore experience (along with a dozen other games), but I managed to score an interview with Shane Kim, GM of Microsoft Game Studios. All of this and it’s only day two of E3. This is one for the record books. Enjoy! What’s it like to build a creature in Spore? And is Will Wright actually giving the Spore demostration? 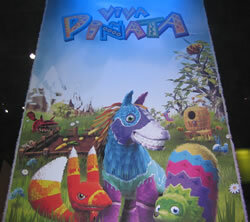 John and I give our impressions of Viva Pinata, Crackdown, Gears of War, Two Human, and Mass Effect for the Xbox 360. Next John and I switch gears and give our impressions of God of War 2, Heavenly Sword, Resistance Fall of Man, and the overall Sony presence. John and I next visit Bethesda and check out Star Trek Legacy, Star Trek: Tactical Assalt, and Pirates of the Caribbean Legend of Jack Sparrow. Back to Windows Vista and how Windows is going to enhance PC gaming. Finally I sit down and chat with Shane Kim and I wrap up the day’s coverage (starts at 1:13:18). Download the show (93 minutes): Gaming Steve Episode 52 (MP3). In this very special episode of Gaming Steve I am reporting to you directly from the E3 Expo show floor and today I share the mic with my co-host from the GDC conference. Christopher Grant from Joystiq sits down with me to discuss day one of E3. So sit back and enjoy myself and Chris chatting about all things E3. Chris and I discuss the Nintendo keynote and what it’s like to use the Wii controller. Review of the Microsoft keynote and their surprising announcements. Chris gives the Sony keynote an “F” and what about that crazy PS3 pricing? General thoughts about the upcoming console wars and how they’re going to play out. Download the show (59 minutes): Gaming Steve Episode 51 (MP3). Oh boy, it’s that time of year again! Not only do you get a standard show but you also get an extended E3 preview special where I go through all of next week’s madness. I even tell you how to get into E3 and how you should prepare if are lucky enough to attend. 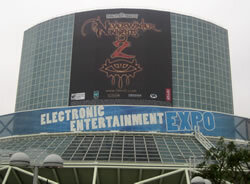 And don’t forget to come back next week as I bring you my daily coverage E3 from the show floor with my partner Xfire. Enjoy the show! 00:26:22 E3 Preview: I break down all the systems, games, rumors and what to expect at next week’s E3. I also give you the dirt on how to get in if you don’t have a ticket and how to survive E3. It seems like E3 is just a few weeks away … oh wait. It is just a few weeks away! So what surprises await the gaming masses at this year’s E3? PS3, Revolution, Halo 3, Spore, what news is going to make the big headlines in a few weeks? This week I take a look to E3 and what we should expect to hear. Also big news as I join forces with Xfire and their 4 million users to bring you all my E3 coverage this year. Four million people .. that is a lot of new people to the site. Enjoy the show! Guitar Hero gets an encore. Command & Conquer 3 coming. Sony shaves $20 off the cost of PS2. Heroes of Might and Magic strikes gold. Guild Wars characters for sale. Xbox 360 getting new CPU. 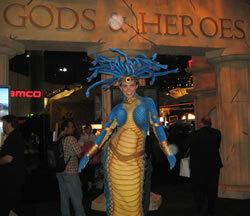 Play Dungeons & Dragons Online free for a week. Yet more downloadable content available for Oblivion. Silent Hill scares up $20 million. 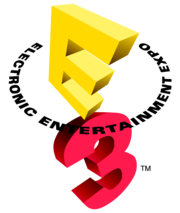 00:32:30 E3 Preview: What are the hottest games going to be at E3 this year? 00:41:32 RetroReview: Caesar III for the PC. 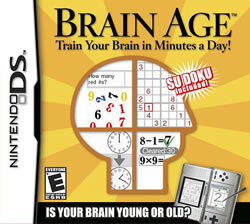 00:47:07 Game Review: Brain Age: Train Your Brain in Minutes a Day for Nintendo DS. 00:52:48 “Name That Game!” contest winner from last week, a new clip, and the always cool prize! 00:54:48 Show Mail: I answer your audio and email questions. 01:29:10 Final Thoughts: Gaming Steve and Xfire? And what to expect at E3? Download the show (97 minutes): Gaming Steve Episode 49 (MP3). Today I have a real treat as I finally managed to figure out a way to mix boardgames with video games as I got a chance to sit down and chat with Mark Kaufmann, Vice-President of Days of Wonder and makers of several successful boardgames as well as the new the Ticket to Ride: The Computer Game. Mark and I talk about how he got into this business, what it takes to startup a boardgame company in North America, why they’re jumping into the computer game market, as well as much more. Enjoy! 00:04:57 Interview with Mark Kaufmann from Days of Wonder, makers of many boardgames as well as the Ticket to Ride: The Computer Game. 00:50:43 It’s the same old story … so many games, so little time. Download the show (54 minutes): Gaming Steve Episode 48 (MP3).